ADRIATIC World YOUNG FEMALE GOALKEEPER 2015/2016? ADRIATIC World YOUNG FEMALE LEFT WING 2015/2016? ADRIATIC WORLD YOUNG FEMALE LEFT BACK 2015/2016? 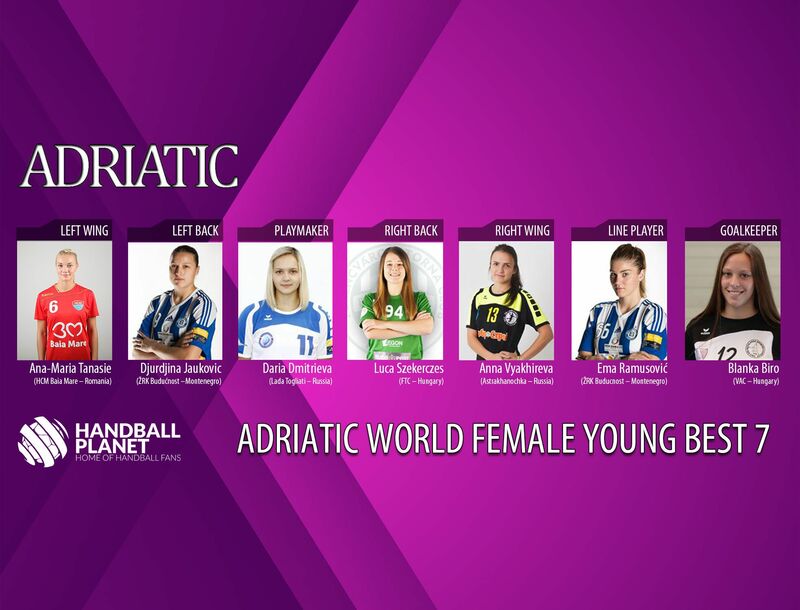 ADRIATIC WORLD YOUNG FEMALE PLAYMAKER 2015/2016? ADRIATIC WORLD YOUNG FEMALE RIGHT BACK 2015/2016? ADRIATIC WORLD YOUNG FEMALE RIGHT WING 2015/2016? ADRIATIC WORLD YOUNG FEMALE LINE-PLAYER 2015/2016? Next Story → Anna Vyakhireva is ADRIATIC World Young Female Handball Player 2015/2016!